This is not the greatest guacamole cheeseburger in the world; this is just a tribute (featuring a Schär ciabatta roll and a portobello mushroom patty). The company launched their first gluten-free line in 1981. Since then, they’ve been growing, adding several other brands under the company’s umbrella. In the United Kingdom, Schär products are available widely in the major grocery stores and online from the brand directly. In the United States, you can find Schär in several health-focused stores grocery like Sprouts and Natural Grocers. I did see listings for Walmart and Safeway in my area – find a location near you on the website. You can also shop online directly, but they are multi-packs and kind of pricey. You do have to bake these for a few minutes, but they are totally worth it. Soft and tasty, these are my rolls of choice for sandwiches and burgers. 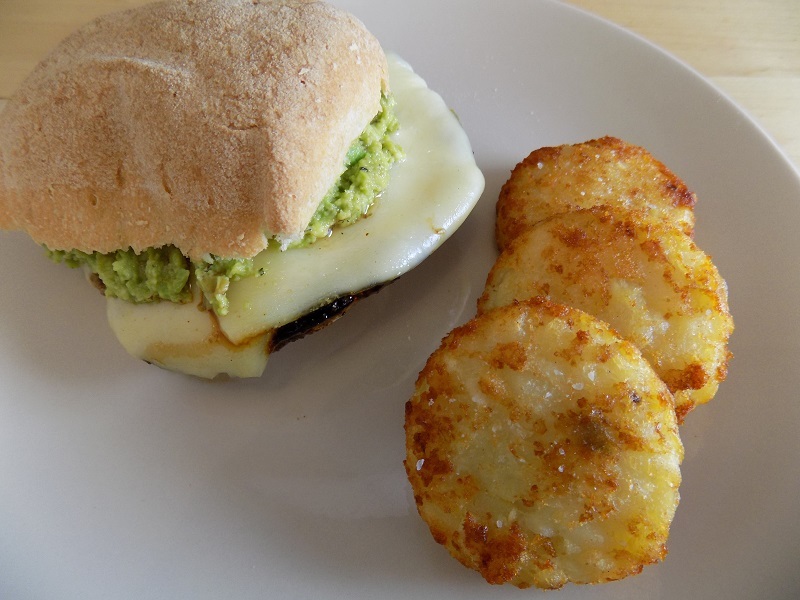 I made the most epic guacamole cheeseburger with these – they are just perfect. This was some of my best pizza work. I have only had the UK version, but the US version looks a bit different. I cannot speak for the US version here! The UK version comes two in a pack and are a good size pizza for two people to share. 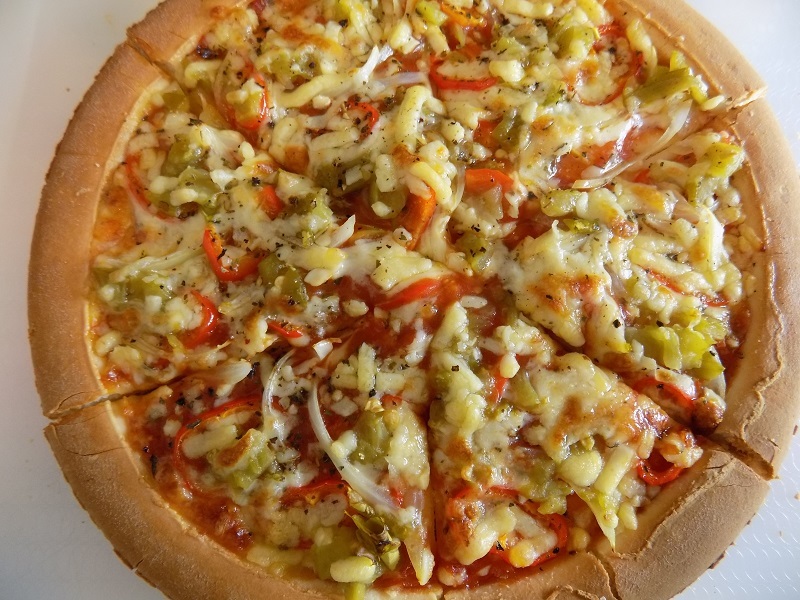 We topped ours with sweet peppers, onions and green chile and it came out pretty good – next time I’ll try seasoning the base with a bit of olive oil and maybe some garlic and herbs to bring it to the next level. These are pretty crunchy – I had to kind of hammer the pizza cutter through the outside edges to get started cutting it into slices. Still, they have a bit more fluff and texture than the usual, super thin gluten free pizza bases available, so I prefer this one. Here in the UK, I can’t get American favorites Snyder’s pretzels, nor can I find Glutino anywhere. This leaves me with Schär’s version of mini twists. They’re good, so I’m not suffering, but they only seem to come in a small (two serving-ish) bag. I would really like a family size bag because I go through them far too quickly this way! I’m pretty sure these are the same thing, though I’ve only had the UK version. These are vanilla cookies filled with vanilla frosting. They come wrapped in twos inside the box, so your serving size is set for you. Again, my only complaint is that they don’t come in bigger boxes! More cookies please. In researching this article, I realized they make a lot more in the way of breads and pastas that I just never see in stores in my area. I may have to do an online order to try a few more items – these are generally good quality, tasty products. I’m still really jealous of the croissants in the US though. 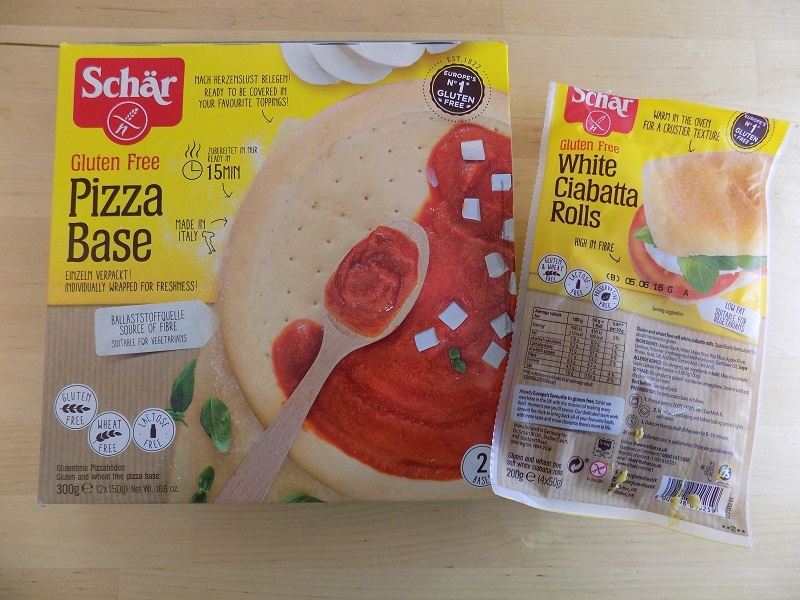 Have you tried Schär products? 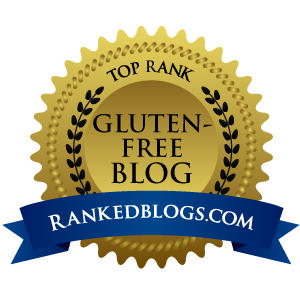 What are your favorite gluten free treats? The Dr. Schär Ciabatta rolls are fine without being baked,but they’re not crunchie then. I do love their products and are seeing more and more of them about now. I agree – I bought them while traveling once and just ate them right from the pack – they are just fine uncooked. I just got home from the Allergy and Free From show in Glasgow today and they had a big display set up! So much good stuff.